In 2003, my husband and I took a last-minute trip to Quebec City, Montreal, Canada. Feeling like I’d been whisked away to France, I was blown away by its beauty and impressed by its culinary delights. 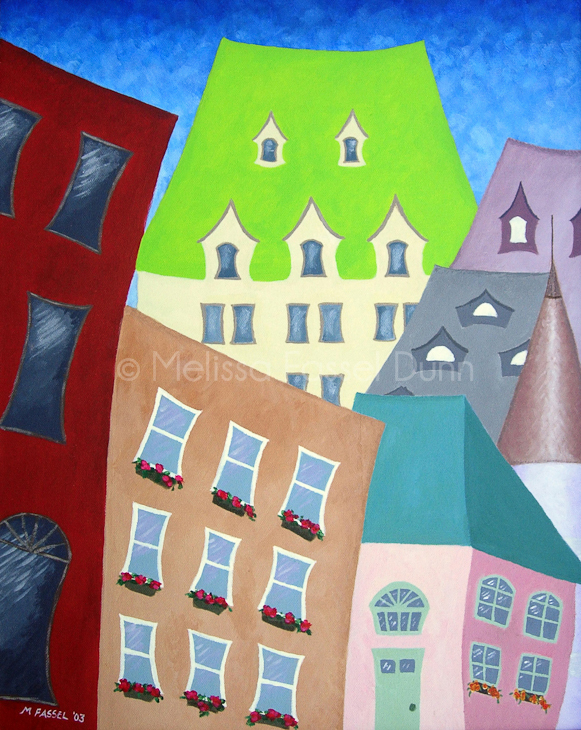 This painting is my interpretation of a city-scene photo I’d taken while on the trip. Notice le Château Frontenac’s stunning presence! Quebec City – a bit of Europe in North America!